Peter was born in New York City and raised in Arizona. He earned his art degree at the University of Arizona in 1967 and worked for two years as an apprentice in a Los Angeles bronze foundry. Peter then traveled and worked to become an accomplished wildlife sculptor in Australia, Seattle, and San Francisco. Peter and his wife Susan now operate the historic Rancho Santa Cruz in Tumacacori. John is a prominent Tubac oil painter and art instructor, originally from New Mexico. In 2013 John received the Peoples Choice Award at Tubac Center for the Arts. He not only practices his art in his studio/gallery, but also teaches at Tubac School of Fine Art at El Presidito. Leslie Miller runs the Tubac School of Fine Art, following in the footsteps of Lou Maestas (1939-2017), who founded The Tubac Art Academy. A fine artist in her own right, Leslie teaches classes and sponsors a host of educational opportunities for local artists. Leslie’s colorful oils and drawings reflect her love of nature’s creatures and the Arizona lifestyle. Jim Petty, an accomplished watercolor artist in Tubac, creates masterful paintings from Southwestern subjects, ranch life, and contemporary scenes, capturing rich detail and light in unique ways. He and his artist wife Carrie operate the “Stone House of Tubac,” offering custom design pieces, murals, cabinetry, and finishes for the home. Following a 50-year career as animator/graphic designer/art director/illustrator in Florida, Rick and his wife Marsha travelled across the country, then settled in Tubac. Rick continues to create, painting wth his pro-level digital art apps as well as traditional oil media. Rick Vose Art & Design studio is located in the "Barrio de Tubac" at 2214 Paseo Tumacacori. Virginia lives in the foothills above Tubac with her husband and their horses. 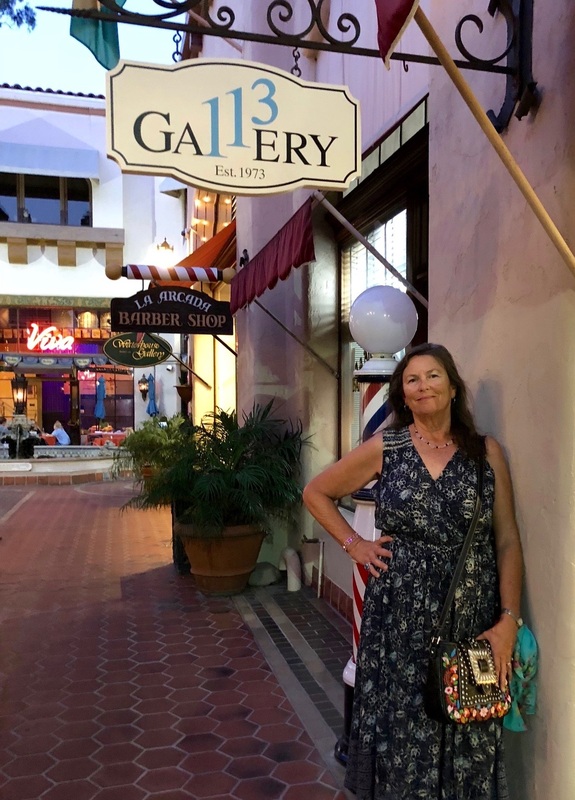 She has been painting for over 40 years, during her professional career in marketing/branding, and now she enjoys the opportunity to focus on art full time. Virginia is frequently showing her work in the area and volunteers at TCA and the Hilltop Gallery in Nogales, where she teaches art and assists in program development. Oil painter Pam Wedemeyer developed a passion for artistic growth and learning since settling in Tubac with her husband several years ago. She prefers painting “en plein air” but is quite prolific in her studio as well, focusing on figurative, Western, and landscape themes.